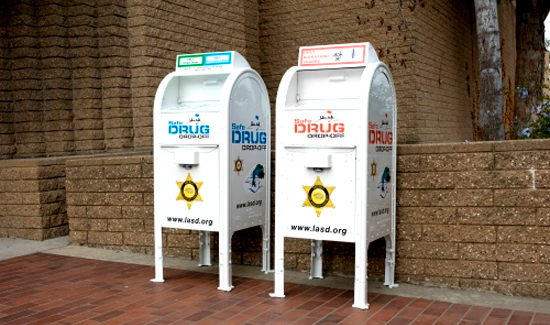 A while back, someone had the bright idea to put old mail boxes (or other kinds of drop boxes) in front of police stations so people could “dispose” of their unwanted or expired prescription medications. In a perfect drug-free world envisioned by so many drug warriors, this would not be a problem. But cops are people, too, and some folks might have a hard time resisting temptation.